The disgruntled middle aged man is a sitcom staple that lives on in Warren. 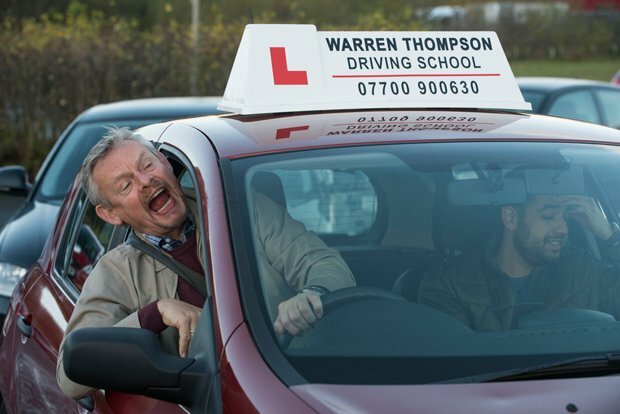 Martin Clunes plays pedantic, penny-pinching driving instructor Warren Thompson, a man who finds himself at odds with his world after moving to Preston so his long suffering partner (another sitcom archetype, this time played by Lisa Millet) can look after her sick father. 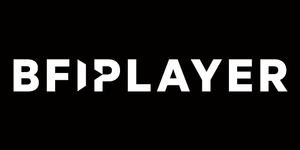 The plots are light (the first episode revolves around a budget clairvoyant, garden centre discounts and fly tipping, the second finds Warren feuding with another driving instructor). It's preoccupied with small minded jealousy and petty middle-England problems. Given the right material Clunes can be a great actor (as recently showcased as a fixated detective obsessed with details in ITV's Manhunt). However, Warren finds him stuck in one gear: slightly narked or mildly angry. And that's the main problem, the character is kind of annoying and hard to like. Sadly Millet is given even less to work with, left to play a gullible idiot. Oscar Morgan and Tim Preston fair slightly better, playing step sons Danny and Charlie, who at least have the decency to be embarrassed by Warren's antics. Jimmy Donny Cosgrove and Paul McKenna are a new writing duo with only a handful of credits between them. Obviously inspired by the classic comedies of the 70s and 80s, Warren feels shamelessly old fashioned. Admittedly getting the sitcom formula right is hellishly difficult but shows like Catastrophe, Flowers, W1A, Toast of London and Peter Kay's Car Share prove there's still life in the format it you approach it with imagination and ambition. But this new series is just staid and stuck in its ways. Episodes watched: one and two of six. Warren starts on BBC One, Mon 25 Feb, 9pm. 2 star? Are you crazy it's much better than that. Better than that Alan partridge garbage after it.